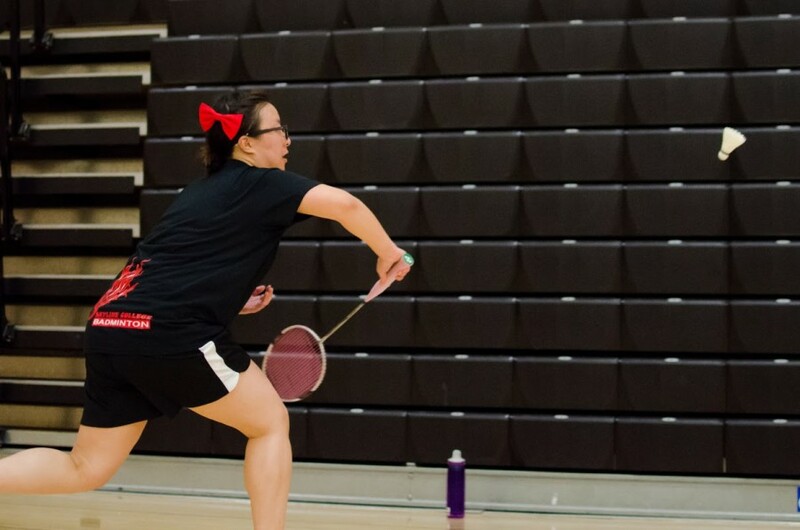 Skyline Trojan Karen Lai races to the birdie to save the point at City College of San Francisco on March 22, 2016. 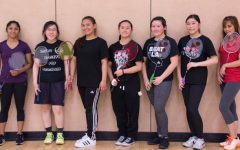 In the second official tournament of the season, the Skyline College women’s badminton team won 18-3 against the City College of San Francisco team on Tuesday, March 22 at Skyline College. With a short season of only eight matches, this is a strong showing for the badminton team as they work to reach the Coast Conference Finals and, hopefully, beyond. Tuesday’s match started out with rounds of competing doubles. With six nets set up, there was more than enough to watch as the women battled it out. Whizzing slams interspersed with gentle drop shots and score shout outs filled the air as the competition sizzled. Next, the women split into pairs for the singles matches, and the sounds of flying shuttles grew to a fury. Skyline coach Jan Fosberg could be seen dancing between rallies to offer coaching advice, suggestions on body alignment, words of encouragement to the players, and to snap a few action photos, which the women tried hard to ignore through blushing smiles. The day finished with another set of doubles matches, with the two players returning from injury, Carla Montanes and Vivionna Tran, exhibiting a high level of performance despite their recent recoveries. Both teams played fiercely, with some double matches stretching into long volleys as the women countered harsh drive shots and dove for net kills. 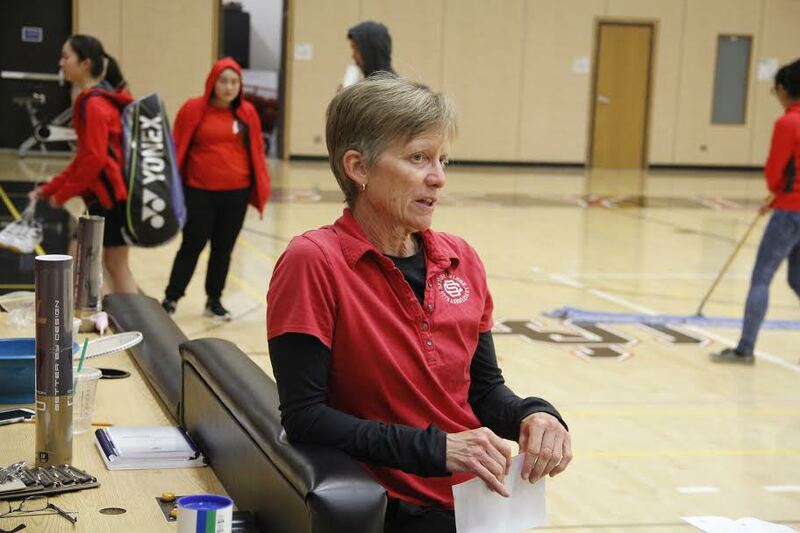 However, the teams remained amicable, trading laughter and banter across net lines, and when a CCSF player turned an ankle, both teams’ trainers rushed to assist while Skyline opponent Zarinah Garcia waited patiently with concern to see whether the match would continue. Despite the interruption, Garcia felt the day went well overall and was focused on her plans for the season ahead. As the last of the scores were called out, the teams traded friendly goodbyes and Skyline walked away with a 15 point win for their second match of the season. Skyline player Fiona Lai won both of her singles matches convincingly, as well as both her doubles matches with partner Rachel Lum.